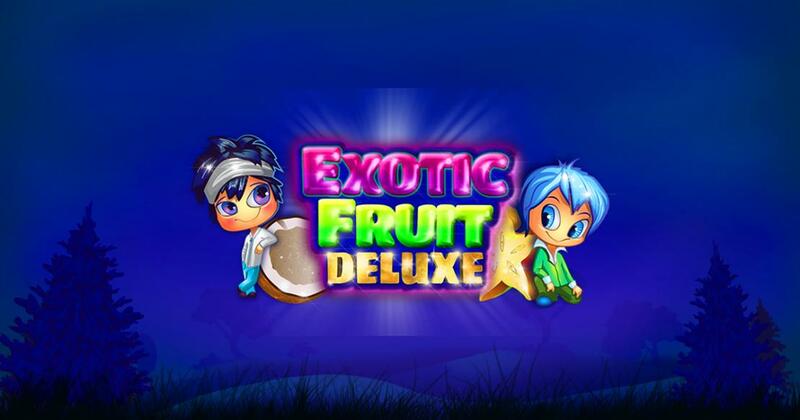 Released by Booming Games, Exotic Fruit Deluxe is the second slot machine in a series that this developer offers. Exotic Fruit Deluxe is quite accurate in its description of the theme that is offered inside. The reels of this game are going to be mostly occupied by images of tropical fruit, though some of them are more appropriate than others. I think that it’s best to call it a fruit themed slot, since cherries, blackberries and strawberries are also present, along with passion fruits, pineapple, coconuts and other delicious tropical goodies. There is even a main character here, an Anime style designed boy, which is also marked as a wild feature. There are some fruit themed games out there that will be annoyingly common and boring, but Exotic Fruit Deluxe is none of those things. 5×3 reels are going to be played with up to 15 win lines active, in Exotic Fruit Deluxe. An impressive jackpot of $300,000 is among the potential prizes of the game, while as features you could get wilds, scatters and free spins. Should you decide to have all lines active, for the best chance at a win, you will need at least $0.15 used in your bet. High rollers can increase the line bet from as little as $0.01, to a maximum of $30. That would mean that you’d have to spend up to $450 for a single round. You’re going after a jackpot of 10,000 coins in this slot, which is an excellent top payout, one which a lot of games don’t manage to reach. Though the RTP is the one that ultimately matters, it’s still nice to have a fat top prize to dream about. The jackpot is awarded in this case when you have five wilds forming a combination on their own. When they don’t pay you, the wilds can help you form other types of wins if they land in positions that let them act as substitutes. The Scatter symbol has another fruit, along with the second character of the game. It’s marked with the Scatter logo and when it appears in three positions or more, you get free spins and payouts of up to 50x total bet from it. Exotic Fruit Deluxe is a slot machine that you can play and have fun with, provided that good graphics and big top jackpots are more important to you than having interesting features. Try of out a demo version of Exotic Fruit Deluxe.